Keira Knightley is an award-winning actress, on-stage and on the big screen, with a career in British and Hollywood films, as well theatre appearances on Broadway and London’s West End. Known for taking on roles in period dramas, she’s also showcased her talents in contemporary comedies and musicals. Who is Keira Knightley, how old is she, when is her birthday, how tall is she and what is her background? British actress Keira Knightley is 34 years old and was born in London on March 26, 1985. The star stands at 1.7 metres tall and comes from an acting background, with both of her being parents involved in the profession. 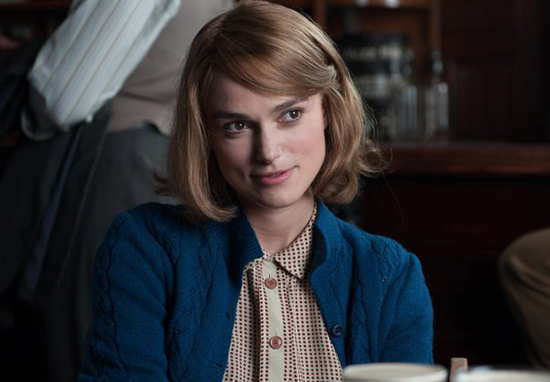 With an actor father and playwright mother, Keira knew from an early age she wanted to act, requesting an agent when she was just three-years-old and getting one by the time she was six. Why is Keira Knightley famous and what is her occupation? Keira shot to international fame at the age of 18 in 2003 with the release of the films Pirates of the Caribbean: The Curse of the Black Pearl, and the hugely successful British romantic comedy Love Actually. She’s renowned for her appearances in Bend It Like Beckham in 2002, the Pirates of the Caribbean franchise and period dramas such as Pride & Prejudice, which was released in 2005, along with Atonement in 2007 and The Imitation Game in 2014. What is Keira Knightley’s net worth? The star’s current estimated net worth is $50million. The success of Pirates of the Caribbean and its sequels, along with her appearances in other commercially successful films, led to Forbes estimating her income at $32million in 2007. How much does Keira Knightley earn? Although commanding a fee of between $5million and $7million per film, she reputedly only pays herself an income of £30,000 ($50,000) per year. 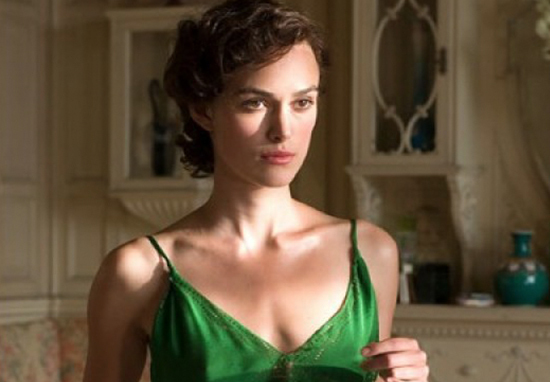 Keira Knightley is reportedly estimated to weigh approximately 119 pounds or 54kg. Where does Keira Knightley live? The actress resides in North London with her husband and daughter. How old was Keira Knightley in Pride & Prejudice, when was it filmed, when was it released? Keira Knightley was just 19-years-old when she played Elizabeth Bennet in 2004 for the film Pride & Prejudice. Released in 2005, her critically acclaimed performance in the film earned her a Golden Globe nomination, along with the first of two Oscar nominations. Is Keira Knightley married, who has she dated, why did they break up, did she date any co-stars? Keira married ex-Klaxon’s keyboard player, James Righton, in the South of France in 2013 after two years of dating. She was previously in a relationship with actor Rupert Friend from 2005 to 2010 whom she met on the set of Pride & Prejudice. She also dated Fifty Shades of Grey actor, Jamie Dornan, from 2003 to 2005 whom she spoke highly of following their split. How was Keira Knightley discovered as an actress, how old was she in Disney’s Pirates of the Caribbean, why did she leave Pirates of the Caribbean, how much did she get paid for it? Keira’s striking similarity to Natalie Portman resulted in her winning a role in Star Wars Episode I: The Phantom Menace at the age of 12 as Queen Amidala’s decoy, Sabe. She continued acting in films and her role in the 2002 British comedy, Bend it Like Beckham, saw her career really take off. 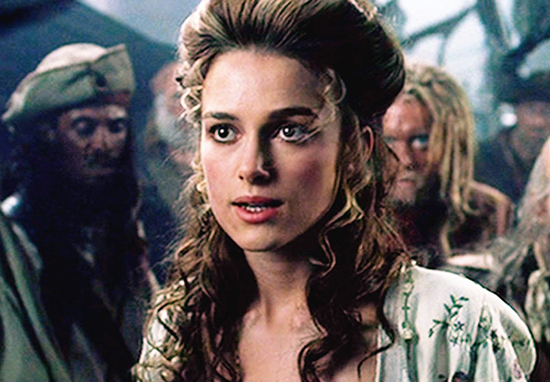 Following this, aged 17, she won the role of Elizabeth Swann in Pirates of the Caribbean: The Curse of the Black Pearl opposite Johnny Depp and Orlando Bloom. The success of the franchise made her one of the highest paid British actresses in Hollywood. Appearing in the first two sequels, she was paid $5million for the third film, At World’s End. Neither she nor Bloom appeared in the fourth instalment as they were pursuing other projects, although both returned with cameos in the fifth film. Keira’s physique led to speculation in the press she suffered from anorexia nervosa in the early years of her career. These false accusations led to her successfully suing the Daily Mail in 2007 for a story they ran suggesting this was the case. Winning £3,000 in damages, she donated this plus an additional £3,000 to a charity for those suffering from the eating disorder. Does Keira Knightley sing, has she ever sung in any films? While appearing in the 2008 drama The Edge of Love, Keira was unexpectedly called on to sing in a scene and received praise from critics for her voice. She also showcased her singing ability in the 2013 film Begin Again, where she played an aspiring singer-songwriter. The song Lost Stars, which she performs in the film, was nominated for an Oscar and a Critic’s Choice Award.